Deciding which garland to use for your large or small decorating project might come with a few questions. Questions like, when should you use a thick garland instead of a thin one, or what's the difference between commercial grade and regular grade greenery? To help ease any concerns you might have when contemplating the best garland for your project, we've asked our resident greenery decorating expert the most common questions customer's ask when choosing which Christmas garland to buy. Tip counts are very important when considering which type of Christmas wreath and garland to buy based on the fullness in appearance you are looking for and how you plan to decorate the greenery. Garland and wreaths with high tip counts look and feel lush and require less ornamentation to make them appear full as they will have few, if any gaps in the greenery. Yes, for outdoor projects the thicker the greenery the better since the most popular decorating style is simplistic in nature, often with nothing more than a stylish bow attached. For indoor decorating you can go with a lower grade wreath or garland that has less tip counts and is not UV rated to save money. The lower tip count and thickness will also allow you to heavily decorate your items for use on a mantel, stair railing or doorway. What's the best way to hang garland? Always fold your garland in half before hanging it, by doing this you are guaranteed to center your garland wherever you are placing it. Depending on what surface you are "hanging" your garland on there are multiple items that can help you. For indoor use I highly recommend using clear adhesive hooks; they are invisible and can be easily removed with no damage to any surface when the holiday season is over. For outdoor use you have many choices depending on where you are hanging your Christmas garland. There are clips that will go between bricks, gutter hooks if you want to create a line of garland, and also outdoor adhesive hooks for hanging on your doorway or railings without putting permanent holes into your home. How should garland runs be measured if someone wants to swag it? To create a typical swag you would section a standard 9' garland into 3 parts with the center "swag" part measuring larger than the ends. Standard measurements would be a 5' middle swag with 2' left on each end to hang down, however if you want a deeper/longer swag you can go with a 6' center and 1' on each end. I would not recommend going any smaller than this on each side or you will lose the look of the swag you are going for. When should someone consider naturally swagged garland vs. regular garland? Naturally swagged garlands are ideal for outdoor or commercial decorating as they can save hours of time and measuring to make sure the swags are even. This is especially true if you are using multiple swags in one area, like on a fence or porch railing. 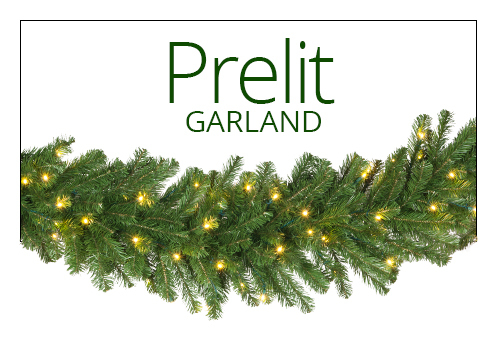 With premade swag garland all the guesswork is taken out and the installation can be completed in half the time. Is it ok to use garland around windows and doors, rather than just railing, or is it too problematic? Absolutely, the biggest problem you will run into with hanging Christmas garland around doors and windows is spacing. 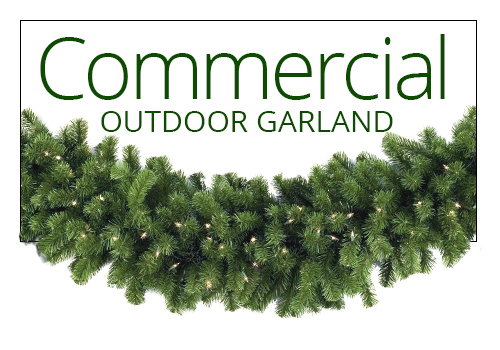 Most garlands come in a standard 9' length which is not likely to fit right around most doors and windows. Because of this I would recommend using unlit garlands around windows and doors so that you can cut the greenery to the desired length you need and then add lighting. 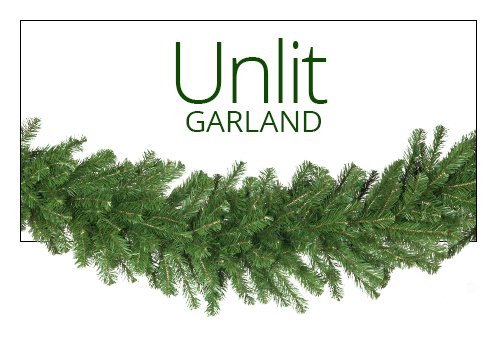 Why should someone opt for super thick garland vs thinner garland? This all boils down to aesthetics and the look you are going for. For commercial use, thicker garlands will always be best as they fill space more completely. Thinner garland works best for indoor residential applications, like on a mantel or banister so that you have room to also display your stocking holders or other dcor. In general, if you plan to add a lot of decorations to your garland, it is best to start with thinner greenery and then add your decorative accents to make it appear thicker. If you start with a thick garland and then add decor on top of it the garland could become too thick for the space you are using it in.